Crafted from Sta-Pac for maximum strength and density the "Billy Club" creates a very focused and pronounced sound that enhances the blend with the snare and bass voice. The short length makes it easier to move in and out of crosses all around the drums and the additional weight creates a quick rebound. In the world of marching tenors and rudimental drumming, Bill Bachman needs no introduction. He is not only a prolific author, world class performer, clinician and educator, but also an inventor and touring/recording drumset artist. Bill's new "Billy Club" Tenor Stick features a radically new design, combining the comfort of playing with a stick with the durability, strength and weight of Sta-Pac. 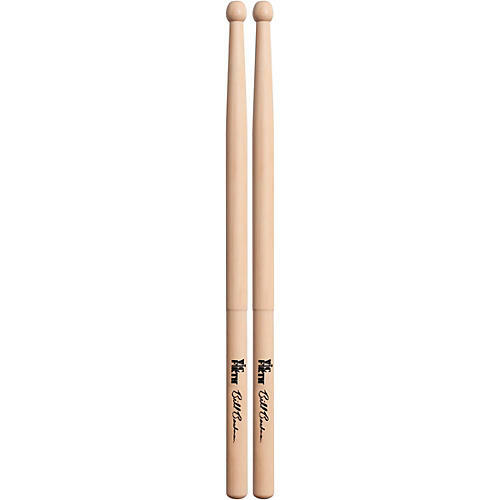 Created for tenor drummers by a tenor drummer, the Bill Bachman signature Billy Club is a great choice when you are looking for the dark sound of a mallet with the feel of a stick!